The Met Office has issued a severe weather warning for ice as temperatures plummet. Forecasters are predicting snow showers and sleet across Aylesbury Vale, Thame and wider Bucks and Oxfordshire this afternoon. Some of the snow showers are predicted to be heavy between 2 and 5pm. 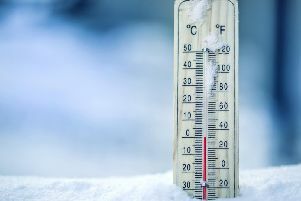 Temperatures are set to feel like -4C by 11pm tonight. A weather warning was issued across the county this morning. Another warning, for ice, will be in place from 4pm today until 11am tomorrow (Wednesday).